Tolley's 1970 Charger: Special Thanks to Howard! I am LONG overdue in giving proper thanks to a mentor, teacher, guide and friend who I have seen countless times, spoken to on the phone, spent hours and hours listening to, but never actually met. When my good friend the "metal wizard" Frank moved away I was just beginning some very serious work on my Charger. I was feeling lost, and unsure how I would be able to proceed. I went online in search of some more books, or preferably some videos to help me along as I continued to learn body work. 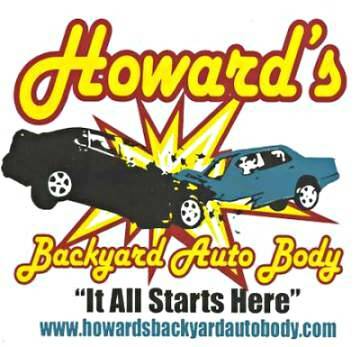 Well, praise the Lord that I found Howard Holland's "Backyard Autobody" instructional DVD's. Right away in a very personable, and down to earth way, Howard's teaching reenforced what my friend Frank had been showing me, and being able to go over and over the DVD's helped immensely. Getting one of Howard's DVD's (there are currently three volumes) is more than just buying some good practical instruction, Howard himself is available via telephone or email to help you through any questions you may have. The only warning I have to offer though is, when you start talking to Howard on the phone, sit down and get comfortable because your not talking to some generic "tech help line" you are about to make a friend with someone who is as interested in your success as you are! Howard teaches more than "just" hammer and dolly work, but goes into panel replacement, patch fabrication, filler uses (pro's and con's), priming and painting too! In fact it was my having watched Howard talking about, and demonstrating the use and benefits of single stage Urethane paints that allowed me to so easily accept Mopar Ed's suggestion that we go that route on my Charger's upcoming paint job. 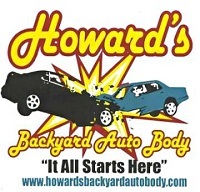 I simply can't recommend highly enough that anyone wanting to learn the ropes in the auto-body universe consider giving Howard's videos a try. You may be amazed by what you can learn to do yourself.... and don't be surprised if the phone rings and it is Howard asking you how your project is going! I get nothing from Howard for recommending him; he does not even know I am posting this, but I do so in hopes that some of you might get your projects a little further down the road (or back on the road!) through the unique kind of help he has to offer.If you want to you can click on his logo below to go to his website.